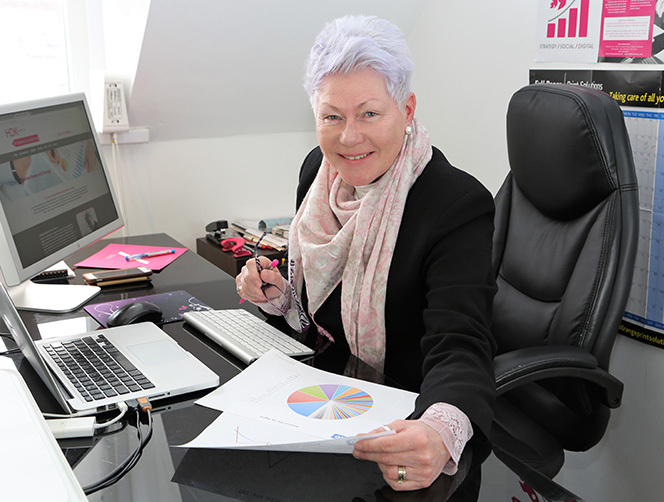 Your accountant may keep you informed of your profit, loss, assets and liabilities, but when was the last time you really looked into your sales figures? HDK Marketing provides in-depth business reviews based on your data; analysing sales by sector, product line, region, year and other variables. Following on from this analysis, we can then identify areas of growth, potential and risk, which will in turn inform a detailed marketing plan that works for your business. Which are your best-selling products and why? Which are your most consistent sellers and which have the highest profit margins? Do you have many customers buying a little or several customers buying a lot? Find out the answers to all these questions and more with a HDK Marketing business review and marketing strategy, which will take advantage of your successes and minimise areas of weakness. 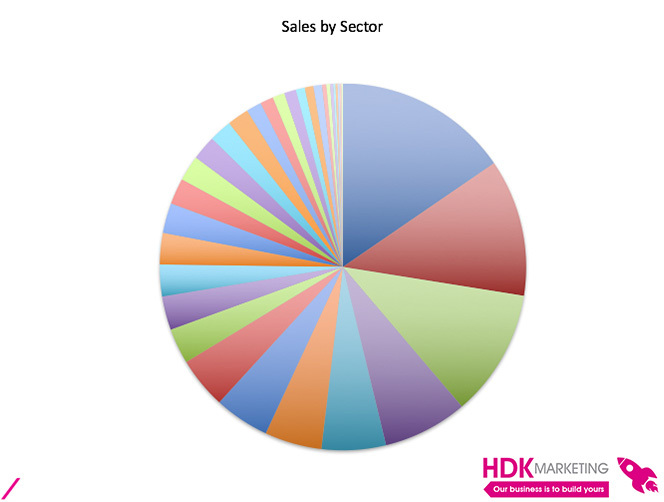 Business review: an example of a pie chart that shows your sales by sector. 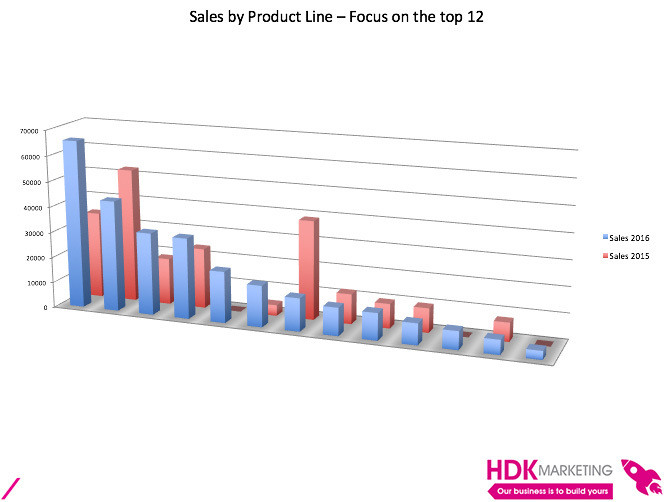 Business review: an example of a bar chart that shows your sales by sector in comparison to the previous year.